Among the artists who make guest appearances with the Hofkapelle München are Reinhard Goebel, Alessandro de Marchi, Dorothee Oberlinger, Hille Perl, Christiane Karg and Lawrence Zazzo. The orchestra also works together with choirs as the Tölzer Knabenchor and the Bavarian Radio Choir. One of their musical focus is based on Bavarian’s rich musical past. Until 2013 the Hofkapelle also regularly cooperated with the August Everding Bavarian Theatre Academy in selecting repertoire and doing productions of 17th and 18th century opera. One highlight of the cooperation was the 2011 production of Johann Adolph Hasse’s opera “Didone abbandonata“, under the baton of Michael Hofstetter. The ensemble’s 2013 opera production, “Adelasia ed Aleramo“ by Simon Mayr conducted by Andreas Spering, was likewise a great success. “The Hofkapelle München performs the opera on original instruments at a fabulously high level“ - thus the reviewer of “Der Donaukurier“. In 2012, together with the countertenor Valer Sabadus, the orchestra was awarded the German Record Critics’ Prize for their CD “Hasse reloaded“. 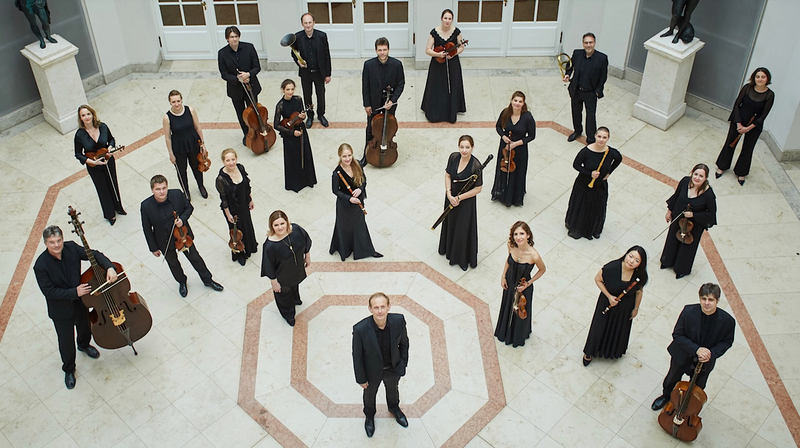 The next very successful recording were the „Six Brandenburg concerts“ of Bach in 2013. In 2014 the Hofkapelle München recorded together with Valer Sabadus his new solo CD “Le belle immagini“ under the baton of Alessandro de Marchi. This CD was awarded the Echo Klassik 2015.